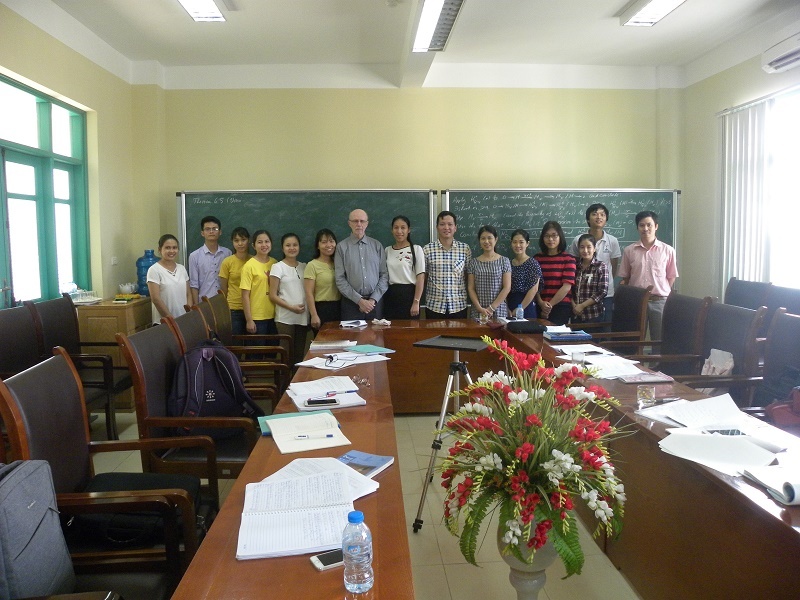 July 17th – 22nd 2017, It was a great pleasure for Thai Nguyen University of Sciences to welcome Prof. M. Brodmann who had visted and lectured on Local Cohomology to PhD graduates, Master’s graduates and senior undergraduates in Algebra from Faculty of Mathematics and Informatics, Thai Nguyen University of Sciences and Faculty of Mathematics, Thai Nguyen University of Education. Prof. Brodmann and Lecturers; PhD graduates in Algebra and Number Theory from Thai Nguyen University. Prof. M. Brodmann from Zurich University, Switzerland is a world leading expert on Commutative Algebra. He has been to Vietnam working for a lot of times, especially, 4 times to Thai Nguyen. 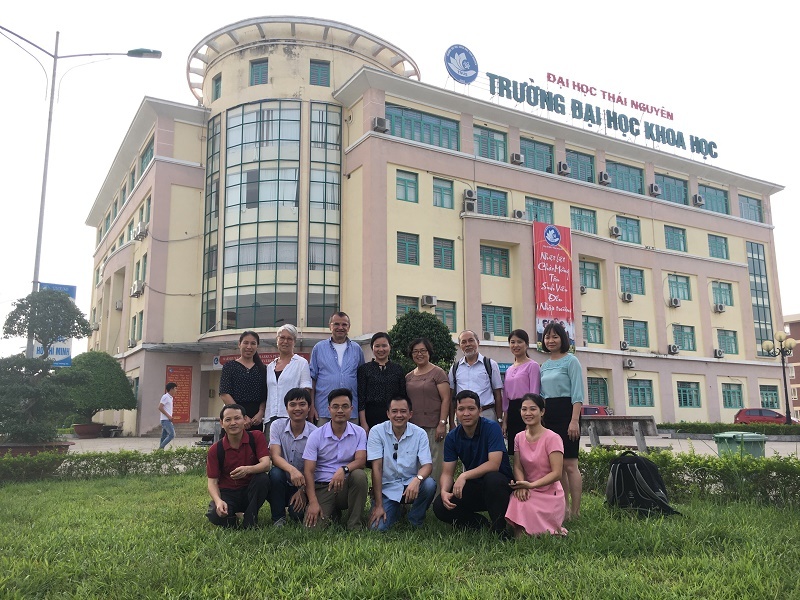 In this visit to Thai Nguyen, Prof. M. Brodmann had had a public speech titled “Why do you become mathematicians?” at Thai Nguyen University of Education. 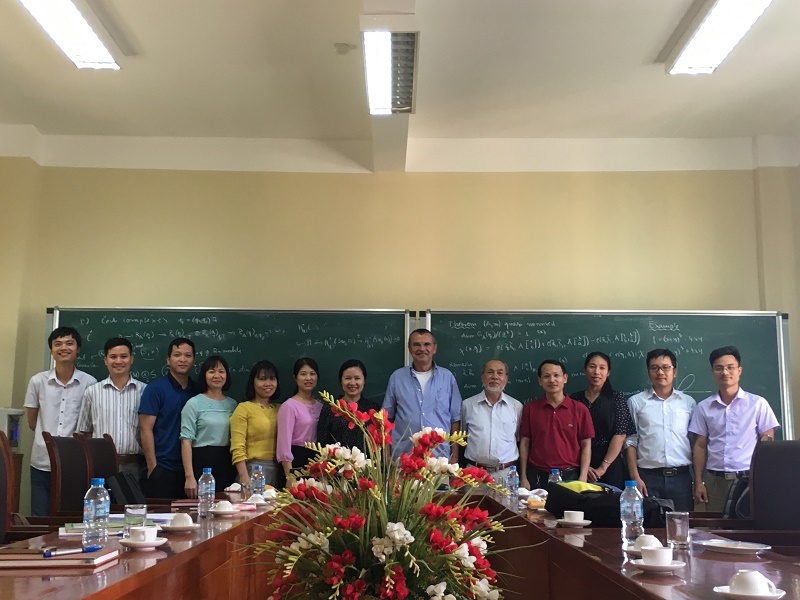 He had also given a number of lectures on Local Cohomology to PhD graduates, Master’s graduates and undergraduates in Algebra at Thai Nguyen University of Sciences. The lectures were given in details on Local Cohomology from the simplest things accompanied with useful examples. It can be considered the great chance for all the attendees from both Universities. September 24th 2017, TNUS also welcomed Prof. Peter Schenzel from Halle University, Germany and the delegation leaded by Prof. Sc.D. 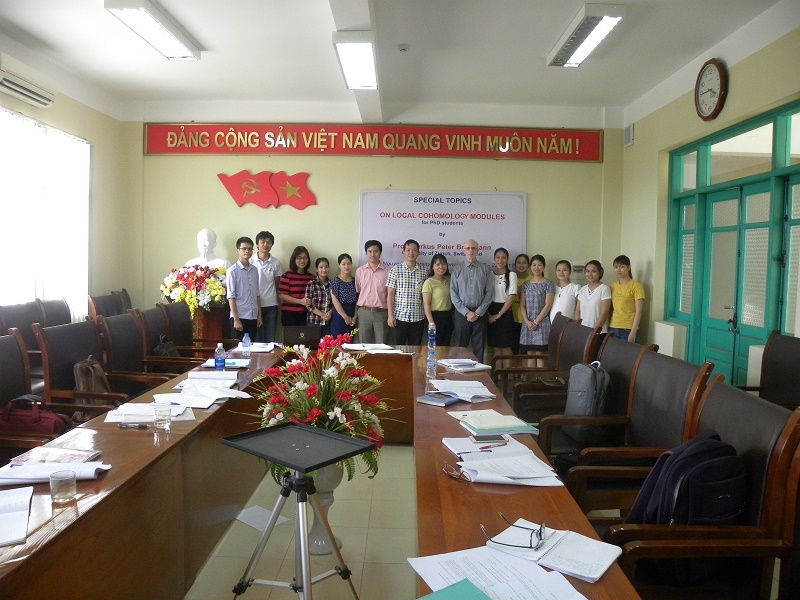 Nguyen Tu Cuong, Vietnam Institute of Mathematics to visit and present at a seminar on his recent study. Prof. Schenzel aslo answered the questions raised by the participants about their interests in his report and the related fields. Prof. Schenzel and Prof. Sc.D. and Lecturers; PhD graduates in Algebra and Number Theory from Thai Nguyen University.